Hilary Davidson seems to straddle two universes at all times. 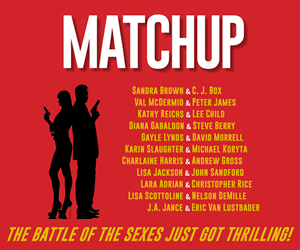 Both a journalist and a fiction author, Davidson has penned award-winning novels (she’s won both an Anthony and a Crimespree), as well as shorter stories, some of which have appeared in Ellery Queen Mystery, Thuglit, Beat to a Pulp. She writes the celebrated Lily Moore mystery series, but doesn’t shy away from putting out a stand-alone novel when the story and characters need to be told and heard. 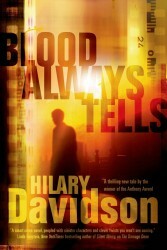 Case in point: Davidson’s latest book, BLOOD ALWAYS TELLS, in which murder, betrayal, and the mystery of a missing child provide answers to a long-buried family secret for the book’s hero and his wayward sister, who has taken part in a blackmail scheme gone wrong. How did the idea for the plot for BLOOD ALWAYS TELLS come to you? I was writing another book that one of the characters from BLOOD ALWAYS TELLS, Desmond Edgars, made a relatively small appearance in. Only instead of accepting the role of bit player that I had in mind for him, Desmond’s backstory started taking over. So I took a step back, put that book aside, and decided to start writing a novel that would focus on Desmond and his family instead. It was a familiar process, in that I always start with a character and build from there, but in this case, I knew a lot of the plot of the book before I started writing, because it has started out as backstory. Sad to say, I’ve got some 40,000 words from the earlier book still lying around, unfinished. Your series heroine, Lily Moore, and Dominique Monaghan are certainly as different as night and day. Which personality traits do you feel they share, and why? Lily and Dominique are such opposites in some ways. Lily is an older sibling who’s used to mothering her little sister, while Dominique is a decade younger than her brother, and she’s used to being spoiled a bit by him. But they have a lot in common, too. Both of them have one close friend that they confide everything in, and they both have a history of dating untrustworthy men. Both also think of themselves as “bad girls”—and in some ways they are—but they also have strong moral codes and lines they won’t cross. They’re also brave at heart. There are a lot of twists and turns in this cat-and-mouse plot. Is there a particular scene that gave you chills as you wrote it? There’s a scene after Dominique and her boyfriend, Gary, are kidnapped and taken to a big, decrepit house in the middle of the woods. They’re separated inside the house, and Dominique has no idea what’s happened to Gary. When she gets the chance to search for him, she starts going from room to room and discovers some seriously disturbing things. Without giving away spoilers, her search leads her into this awful, bug-infested cellar. Part of the reason it was so hard to write was because I knew what she would learn there, and how it would devastate her. There is a sad poignancy in the relationship between Dominique and her brother and protector, Desmond Edgars. Did you have an “ah-ha” moment while considering how to make these two disparate characters mesh as siblings? I have two brothers and we’re really close in age, unlike Dominique and Desmond. After my grandmother—to whom I dedicated the book—died, my brothers and I spent a long time talking about her. What I realized then was that, even though we all knew her and loved her, we had such distinctly different memories of our grandmother. It led to conversations about other things from our childhood and how we remembered things differently, or maybe interpreted things differently. That was on my mind when I wrote about Dominique and Desmond. There’s a powerful bond and a lot of love between them, but they don’t really understand each other. They remember their family history, and their relatives, in very different ways. They also hide things because they fear what the other will think. It’s a family trait they share, but it creates distance between them. Could you see bringing back some, or even one, of the characters of this book for another novel? When I started writing BLOOD ALWAYS TELLS, I was determined for it to be a standalone. But after spending time with these characters, I want to write more about them. Right now, I’m undecided about it, but I can’t write off the possibility! In regard to your approach to plot and character, what do you see as the key differences between writing a stand-alone, and a series? There’s a kind of safety harness in place when you’re writing a series. No matter what bad things befall the main character, that’s still your main character, and the show must go on. Readers know that your main character won’t die, and that recurring characters are probably safe, too (unless you’re many books into a series; even then, they’re usually safe). Writing the standalone was like jumping off a cliff by comparison. Anything could happen. For me, that made it more exciting. How difficult was it to make the leap from feature writing to novel writing? It wasn’t easy! They’re largely different skill sets. The only useful crossover has been that I’m used to writing to deadline. I think you use different parts of your brain when writing fiction and nonfiction. I can write nonfiction all day and go out afterwards and forget all about what I’ve worked on. Writing fiction, I’m completely wrapped up in my characters’ emotions; if they have a conflict, it’s just like I had the conflict. You also write short stories. What would you say is the biggest difference in your plotting and character development between short- and full-length fiction? With short stories, all you need is an intriguing character and a scenario. You don’t need to plot everything out so that it all fits together in the end. You don’t need to tie up every loose end or answer every question in a short story. You have a lot of leeway in a short story that you don’t have in a book. That’s probably why I love writing short stories so much. What current work-in-progress can THE BIG THRILL readers anticipate for future release? I’m working on another standalone novel right now. Coming up soon, I’ve got a story in Ellery Queen called, “My Sweet Angel of Death.” It’s about a serial killer at work in the foothills of the Andean mountains of South America. I’ve also got a story in TROUBLE IN THE HEARTLAND: CRIME FICTION INSPIRED BY THE SONGS OF BRUCE SPRINGSTEEN. Mine is called “Hungry Heart.” Dennis Lehane is also in the collection and I can’t wait to see what he wrote! 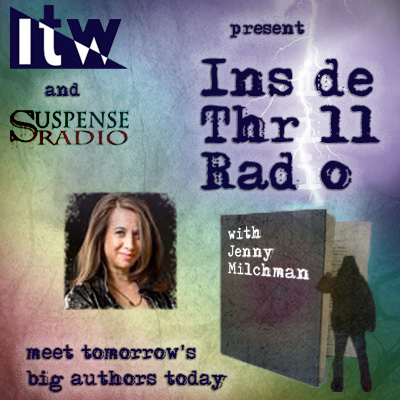 Hilary Davidson is the author of the Lily Moore mystery series, which includes The Next One to Fall, Evil in All Its Disguises. Her debut novel, The Damage Done, won the 2011 Anthony Award for Best First Novel and a Crimespree Award. 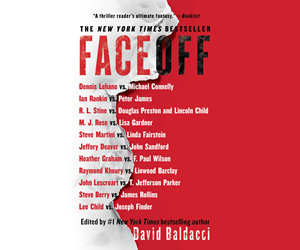 Davidson’s widely acclaimed, award-winning short stories have been featured in Ellery Queen Mystery Magazine, Thuglit, Beat to a Pulp, and in many anthologies. 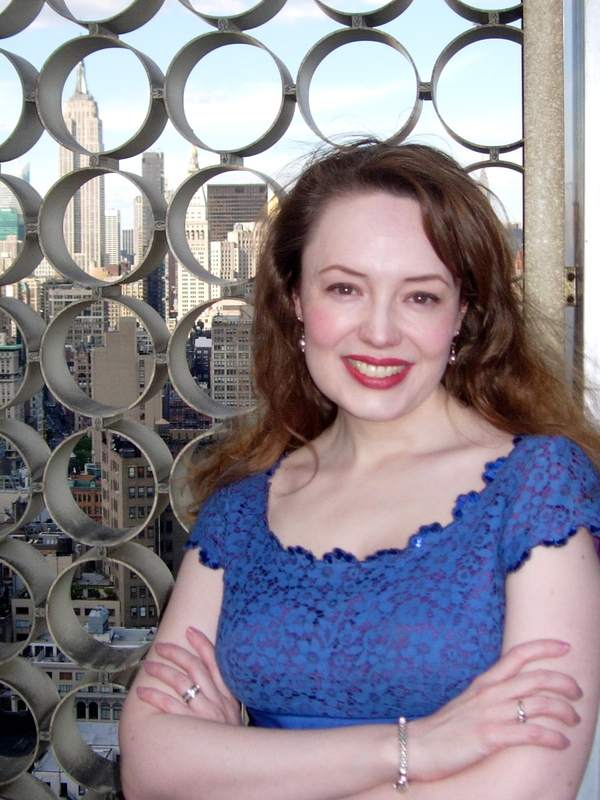 She is also the author of a short-story collection, The Black Widow Club. 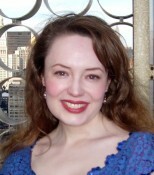 To learn more about Hilary, please visit her website.